Daymond Garfield John is an entrepreneur, investor, orator, author and television personality of American origin. John is Founder, President and CEO, FUBU. 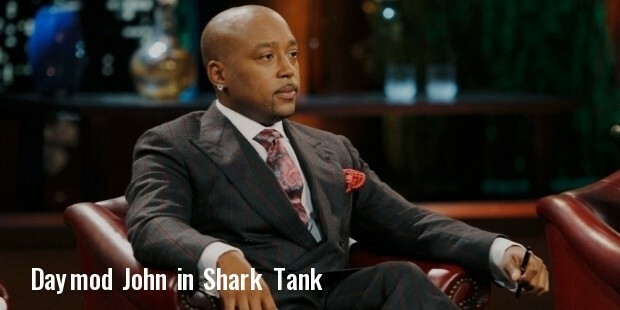 He has investments in the reality television show, Shark Tank on ABC. 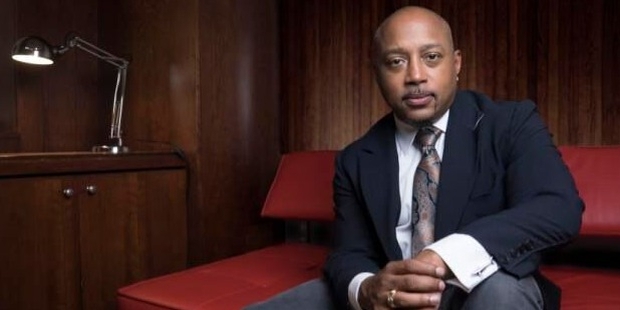 Daymond Garfield John was born on February 23, 1969 in Brooklyn, New York, US. He spent his childhood in Hollis, a neighbourhood in Queensland and was brought up by his mother and grandfather. John went to the Bayside High School under a special programme, which allowed him to attend high school and work at the same time. Daymond Garfield John started his career by setting-up a commuter van service. John was blessed with a sharp business acumen. He partnered with his neighbour and stitched hats, popular at the time and sold them at the New York Coliseum, making a neat profit. 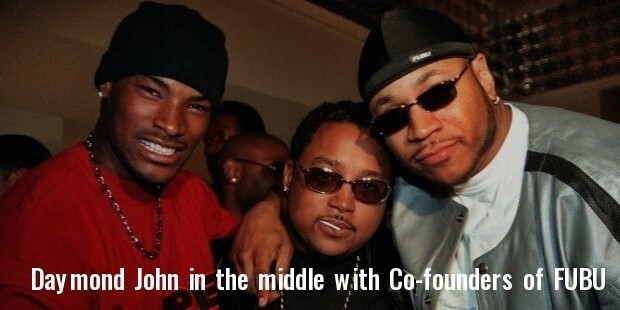 John set up the FUBU business. He worked at Red Lobster to generate funds. John collaborated with friends, J. Alexander Martin and Keith Perrin to sew the FUBU logo on hockey jerseys, sweatshirts, and T-shirts. He came into the limelight when LL Cool J wore a FUBU T-shirt and a FUBU hat for some advertisements in 1993. John hit big times, when he grabbed an order worth $300,000 for Macy’s (M) at a Las Vegas fashion trade show. John was cast in Shark Tank in 2009, a television show where business executives listened to business deals and decided which venture to invest. John had investments worth $7,667,000 dollars in Shark Tank projects in 2015. John is associated with brands; Pitbull and Miss Universe organisation as a public speaker. He generates additional streams of revenue and brand extensions. He addresses gatherings on marketing, negotiations, and entrepreneurship. He has to his credit, speaking engagements; California First Lady Maria Shriver’s Women’s Conference, Babson College School of Entrepreneurship, AT&T’s History Makers Tour and the Creative Liaisons Program at the annual London International Awards. John starred in the television series; The Game and The Real in 2013. He has acted in the films; The Crow: Wicked Prayer in 2005 and in Sharknado 2: The Second One in 2014. John has authored Display of Power, The Brand Within, and The Power of Broke. John is the brand ambassador for the company, Shopify, an investor and influencer for Resltly, an on-line shopping and fashion company since 2012. 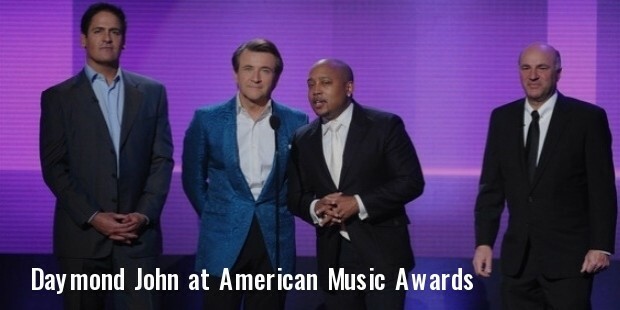 Daymond Garfield John was awarded the Brandweek Marketer of the Year. He won the NAACP Entrepreneurs of the Year Award twice. John was conferred the Advertising Age Marketing 1000 Award for Outstanding Ad Campaign, Crain’s Business of New York Forty Under Forty Award, Ernst & Young’s New York Entrepreneur of the Year Award and the Brandeis University International Business School’s Asper Award for Excellence in Global Entrepreneurship and the Congressional Achievement Award for Entrepreneurship. John suffers from dyslexia. He enjoys reading Think and Grow Rich and Rich Dad, Poor Dad. He lives in New York City.